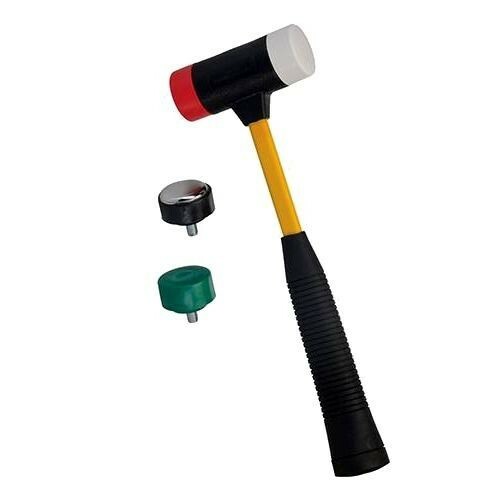 Brand New 4-in-1 Multi-Head Hammer Fibreglass shaft with 4 interchangeable heads. Includes 3 x plastic anti-marking heads: white (soft), red (medium) and green (hard). Also includes 1 x metal head.